Re-Charge Drink - drink powder containing carbohydrates and patented blend of PeptoPro® for rapid muscle recovery. 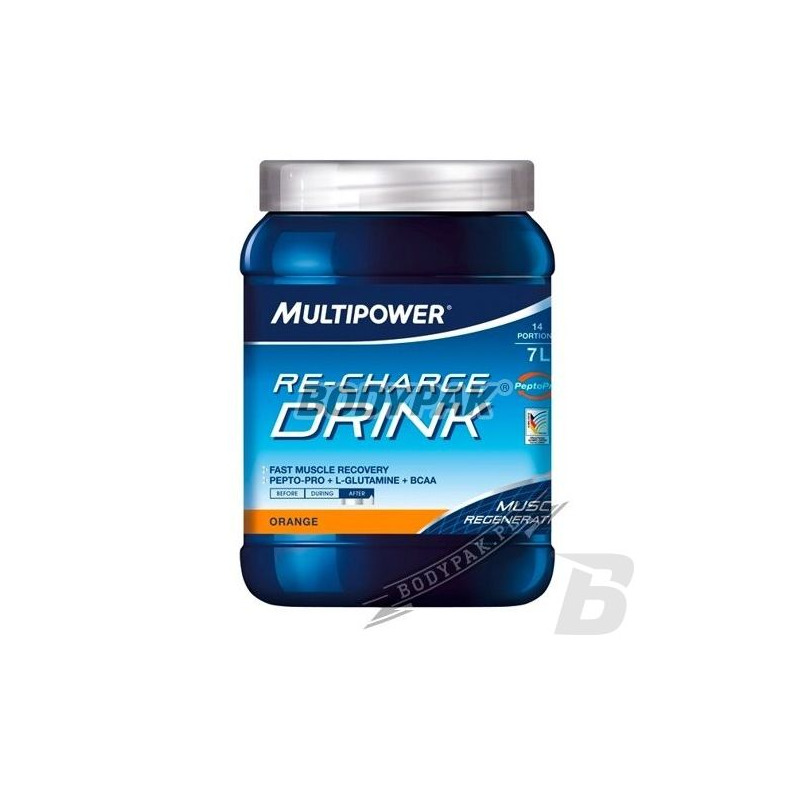 Multipower Re-Charge Drink - drink powder containing carbohydrates and patented blend of PeptoPro® for rapid muscle recovery. It provides fast recharge muscle energy. The mixture of carbohydrates provides fast and at the same time long-term energy supply during training or competition. PeptoPro® (pre-digested protein split into factions) effectively and quickly replenishes amino acids in the body without the digestive process, which greatly accelerates the process of regeneration. 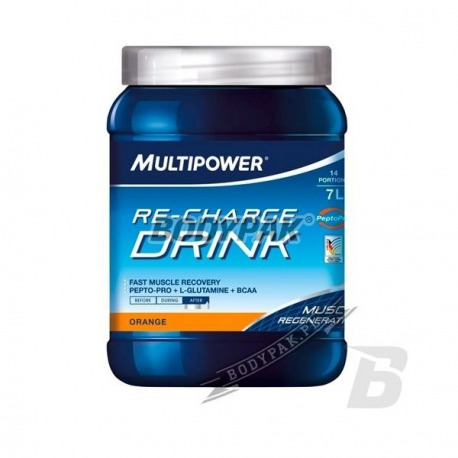 Multipower Re-Charge Drink was created based on the latest knowledge on sports nutrition and is designed for players who are not accustomed to compromises on the road to success. Recent scientific studies report that pre-digested protein supports muscle recovery during a training exercise for a long time. A key role in this process is played by the proportions of branched chain amino acids. Multipower Re-Charge Drink contains optimally matched to the needs of endurance training aspect ratio of leucine, isoleucine and valine (2: 1: 1) and is a technically advanced drink increases the ability to exercise athletes.